Chevrolet is going to make the racing world even more exciting this year with its factory-built Camaro GT4.R. This race-ready car will be built to meet global GT4 regulations and will be eligible to race in the IMSA Continental Tire SportsCar Challenge GS class, the Pirelli World Challenge GTS class, and any other GT4 class races around the world. Pratt and Miller Engineering helped develop the Camaro GT4.R, which is based on the Camaro ZL1 1LE. Under the hood of the GT4.R is a dry-sump 6.2-liter LT1 V8 engine paired with an Xtrac six-speed sequential transmission with pneumatic paddle shifters. Other performance modifications include an Xtrac limited-slip racing differential, an adjustable traction control, an adjustable ABX system, two-way adjustable Ohlins Racing coilovers, and six-piston mono-block Brembo brake calipers in the front. Visual modifications include a revised rear wing, front dive plans, and front splitter to improve aerodynamics. The Camaro GT4.R had its debut at the Pirelli World Challenge race in St. Petersburg, Florida in mid-March. It earned a solid second-place finish in all rounds driven by both Lawson Aschenbach and Tony Gaples for Blackdog Speed Shop. Here at College Chevrolet Buick, we can’t wait to see how this wicked Chevrolet Camaro GT4.R performs for the rest of the season. Ben Snyder is the Internet Manager here at College Chevrolet Buick and a graduate of Kalamazoo College. 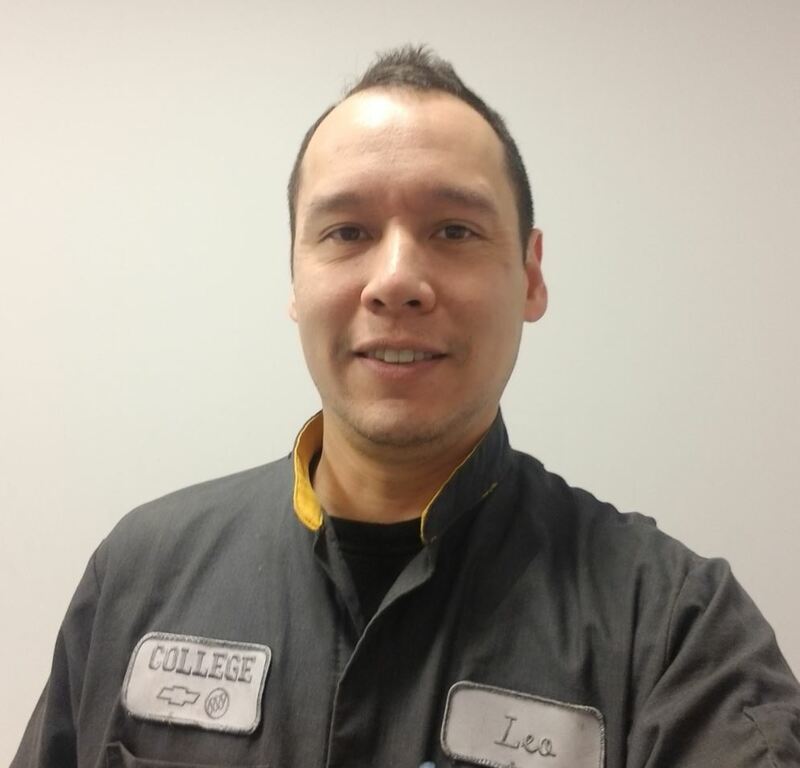 He’s been with us for almost a year and has been working in the auto industry for 5 years. Ben was born in Aurora, Colorado but was raised right here in Albion. Ben’s all-time dream car is the Batmobile, because well, who wouldn’t want to drive the Batmobile? He currently drives a Buick LaCrosse and a Chevy Equinox. His favorite car (which also happens to be the worst car he’s ever driven) was his ’91 Chevy Cavalier. The trunk leaked, the roof was caved in, the windshield was cracked, the brakes were soft, and it smelled terrible, but it was Ben’s introduction to freedom! Ben’s favorite Chevy vehicle is the upcoming 50th Anniversary 2017 Chevy Camaro. He says that if he were a car, he would be a 2016 Chevy Silverado High Country. Ben says he’s large and in charge on the outside, but comfortable and thoughtful on the inside – much like the truck! When not hard at work as our Internet Manager, Ben enjoys spending time with his kids. He has a 2-year-old and a 9-year old that love to play with Play-Doh and Legos. He also enjoys watching Michigan sports (GO BLUE!) and also enjoys Game of Thrones. His favorite part about working here at College Chevrolet Buick is the people. He thinks we have the best staff around (which we do!) and the customers make it fun to come into work every day! Stop by our dealership and say “Hello” to our teammate Ben the next time you’re out and about!